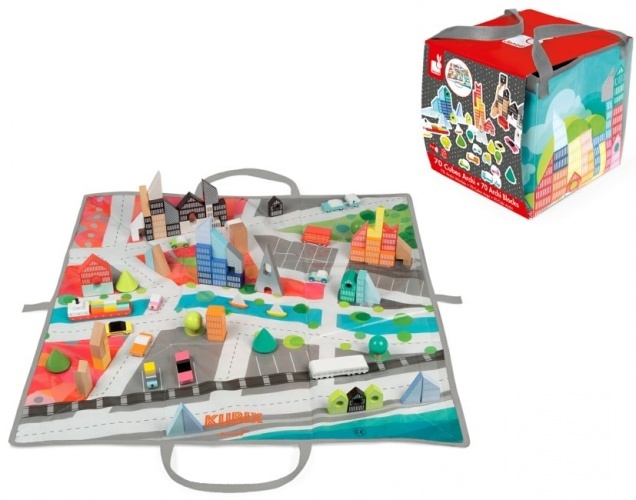 Your child will learn their letters and numbers in no time with this fun set by Janod. Made with water-based paint and wrapped up in an alphabet play mat that doubles as a bag, these 40 solid wood cubes contain the letters of the alphabet, the numbers 0 to 10, and even some shapes and symbols. 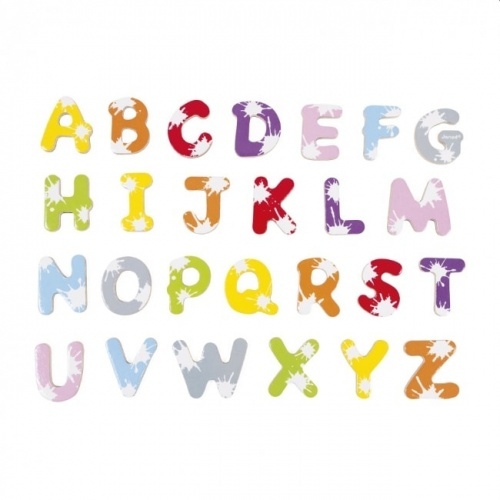 The letters come in all different visually-appealing fonts and colours, making this the perfect fun and educational toy for your child. Get yours now and delight a little one! What sets these blocks apart from others is the fantastic 2 in 1 play mat which doubles as a storage case for the blocks - perfect for storage or taking out.